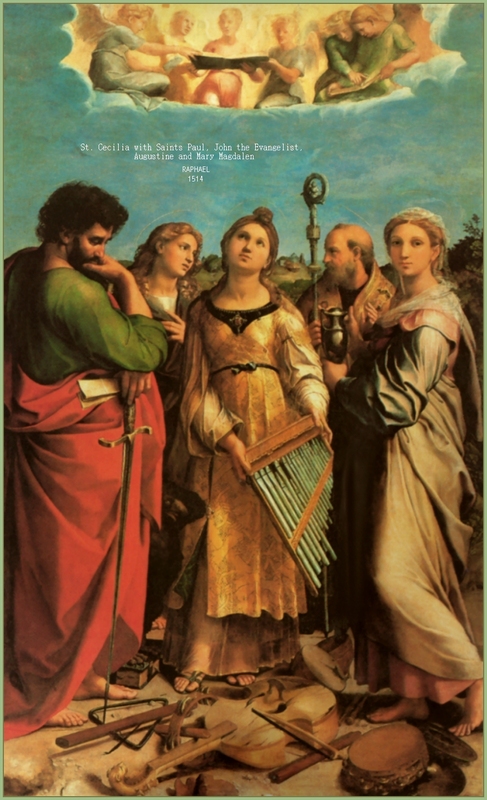 This collection of pages is actually a defense of one of the greatest Saints and Martyrs of the Holy Catholic Church, not only by way of apologetics because his reputation is continually disparaged, but for the purpose of reparation as well. To accuse one of the writers of the Sacred Word of God, who wrote under His Inspiration, of a character flaw, within the context of a sermon that is addressing one of the Saint's Epistles, is not only irresponsible, and very possible seriously sinful, it sends mixed signals to the parishioners; this is true particularly because of the express context of former such sermons, which included the same disparagement of St. Paul, and a blasphemy in re St. John the Evangelist, to wit, that he was not always right in his scripture writings, thus the priest-homilist announces to all the assembled that he, the priest, may dissent. This is the same priest who thinks that the Church is unjust to women, without further elaboration. Given the nature of the priest's tendency to deviate from Tradition and its traditions, there is but one implication . . . 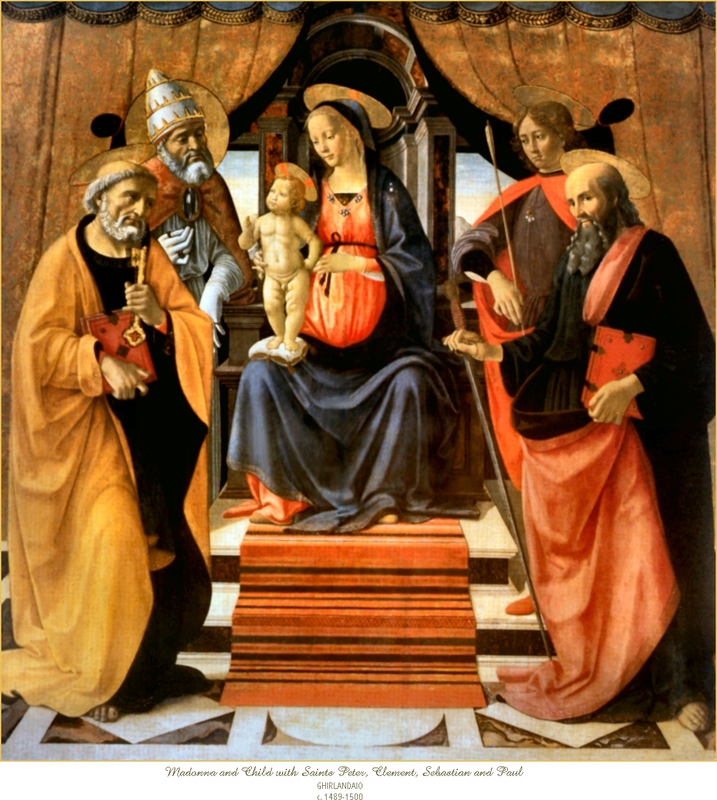 Does the priest intend to diminish the force, the truthfulness and the urgency of St. Paul's counsel to us as Christians? Or does he have some other motive, or is he so seriously confused that he knows not what impression he conveys? The priest boasts of his education. Certainly we cannot be sure of his motive or intention, but we do not have to know, for we judge fruits, not the heart, of those who effect works. "By their fruits thou shalt know them." It is the effect that we must judge in order to save our souls, and not be led astray, and not cast our pearls before swine. 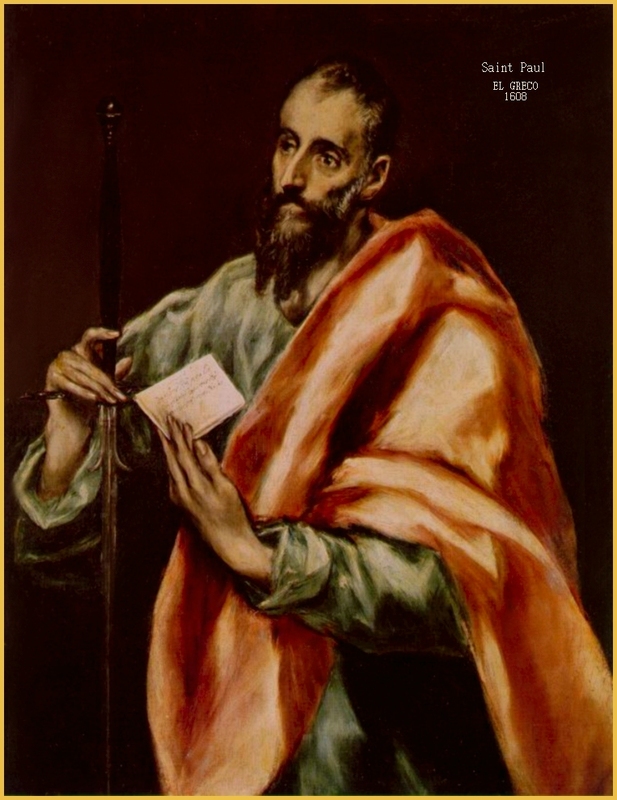 The nature of the debasement of the good name of Saint Paul, is that he always had to be better or appear to suffer more than those around him. 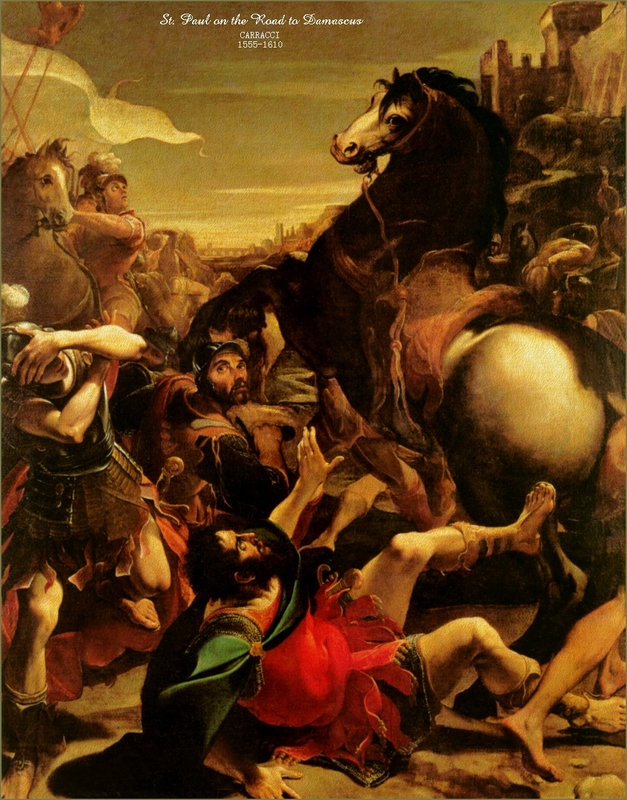 If Saint Paul mentions his sufferings, it is to spur men on, not to boast; and if St. Paul ever boasted, it was to boast in Christ, not in himself. Context is very important, in fact, can be everything and without it, a part of the truth becomes a lie because this kind of distortion falsifies the truth. Now, I do not know how many times it takes to pour over St. Paul's Epistles to be familiar enough with them, but I cannot find anything that could be taken out of context, innocently, and magnified to support this claim. The Second Letter to the Corinthians has a section of passages [Chapter 11:23-30] that could be taken out of context, I suppose, but to do so, one would have to deliberately ignore the subsequent chapter, as well as the one immediately preceding it: which make manifestly clear that Saint Paul is not boasting of suffering in the sense implied by the priest. Perhaps I am poorly trained myself and do not have good reading comprehension, but something tells me this cannot be the reason why I have not found any actual evidence for the calumny. 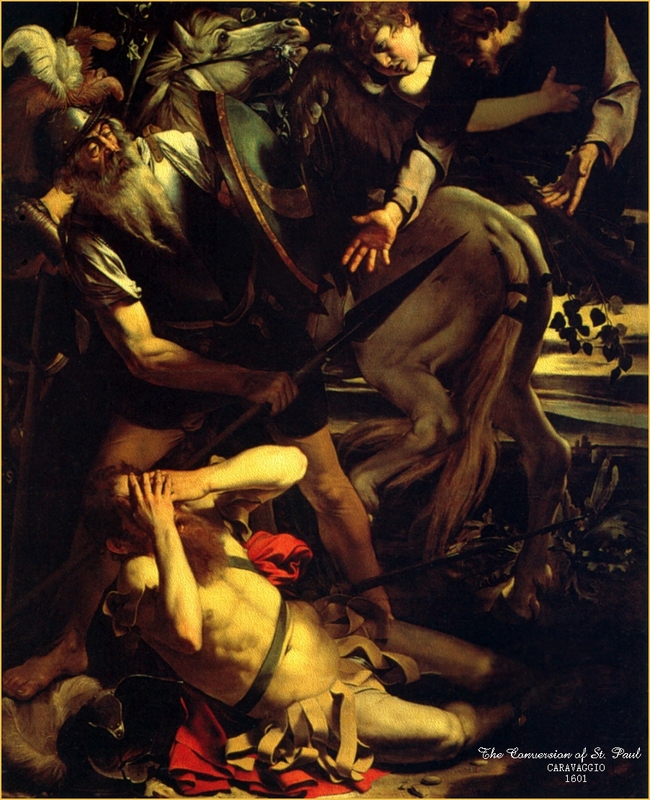 In fact, one of the attributes or virtues of Saint Paul that first struck me, many, many years ago when I took to a preference for his Epistles, was his utter humility, united to a profound sense of the dignity of the person, who, when in the state of grace, provides a temple for the Holy Spirit. Another was the acumen of his mind and the clarity, the breathtaking clarity and breadth of his intellect, which he used for the glory of God and not for his own advancement. 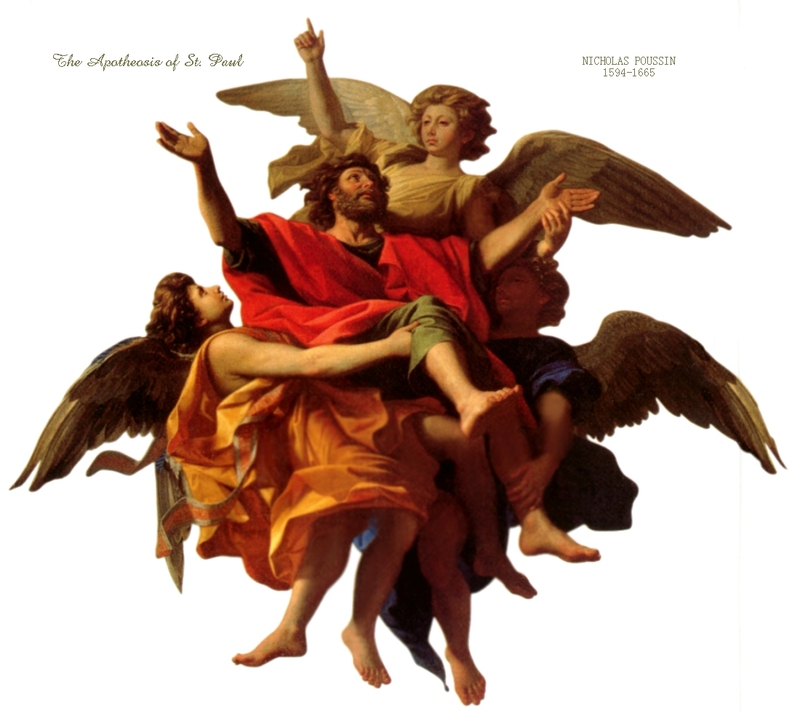 I was and continue to be so overcome with these two aspects of his saintly comportment, which are but only two of so many, that I latched onto him, so to speak and have not been able to let go, not that I would want to. I do not find his unwillingness to compromise prideful or his willingness to suffer and undergo all manner of privation, exhibitionist, that he would want to have "top billing" in the suffering department; I find him so humble as to be irresistibly lovable, challenging me, beckoning to come follow him to martyrdom whether with a capital 'M' or a small 'm'. But my feelings do not matter, it is what the Church teaches through her Tradition and traditions in the accepted authors about Saint Paul that does. WHO WAS SAUL BEFORE HE WAS PAUL? 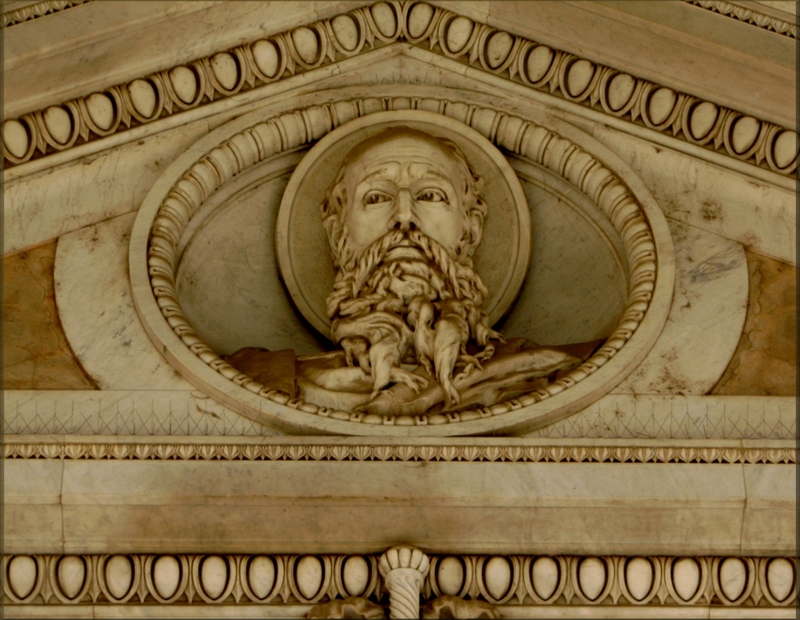 For centuries the writings and character of St. Paul have been embroiled in controversy, whether from Jewish or Gentile quarters, neo-pagan and Christian alike, and even in some Catholic quarters. The controversy is like a great mist, that precludes our penetrating through to the blinding flash of genius, and subtle charm of this great, oh so great Apostle. That is, it is a mist if we choose to indulge in the game. I prefer to take him as God gives him to us, as direct as his eloquent, and precise Epistles. 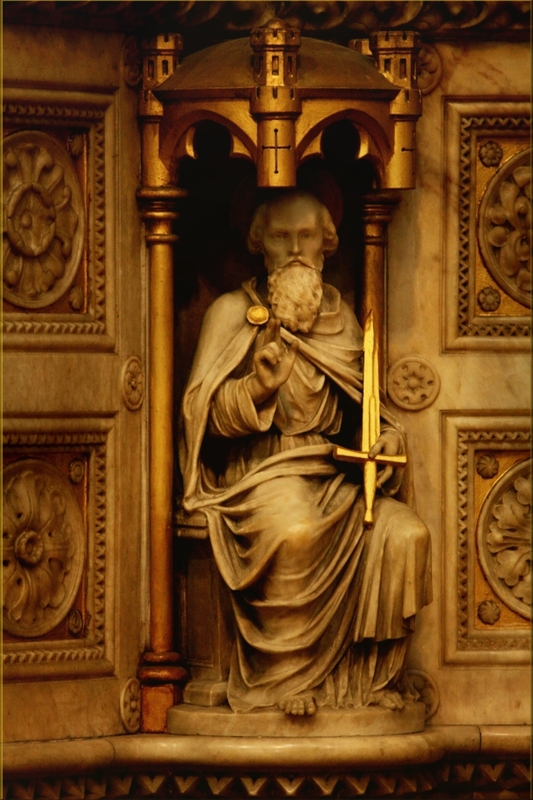 St. Paul is a Saint, which is redundant, however, we need to say it anyway, a Saint of tremendous inspiration simply because he so keenly grasped the supernatural and strove for sanctity above all else, without compromise, and all for the spread of the Kingdom of God, to save the souls of men. The love of human respect was not his domain. Any man, then, as today, who expresses no interest in this "kindly but deadly trap" is more often than not viewed as 'controversial' with each age putting its particular characterization or stamp on him. This is basic to human nature since the Fall in the Garden. Weak men are given to project their failures and sins onto those whom they perceive to be stronger, as if to justify themselves, usually not understanding that this is actually what they are doing, that is, it is largely a reflex and not a conscientiously chosen perspective. This reality does not absolve us sinners completely, as even unintended venial sins, are still sins. It is only mortal sin that requires intention to incur mortal guilt. Then, too, those aflame with zeal for the things of God, tend to be viewed much more critically than those who possess less outward zeal. On the one hand this ought to be expected and Saint Paul would be the first to agree. On the other hand, the critique does double duty as a self-serving exercise, again to rationalize one's own faults or even sloth. We too often mistake zeal for harshness of heart, another way of really saying, we prefer to be loved more in our sinful selves than God is loved for Himself, without having to admit it to each other and to ourselves. Paul's zeal for the glory of God is such a zeal that inspires such a reaction. His critics have proven to exhibit their own kind of fiery zeal, one could say! 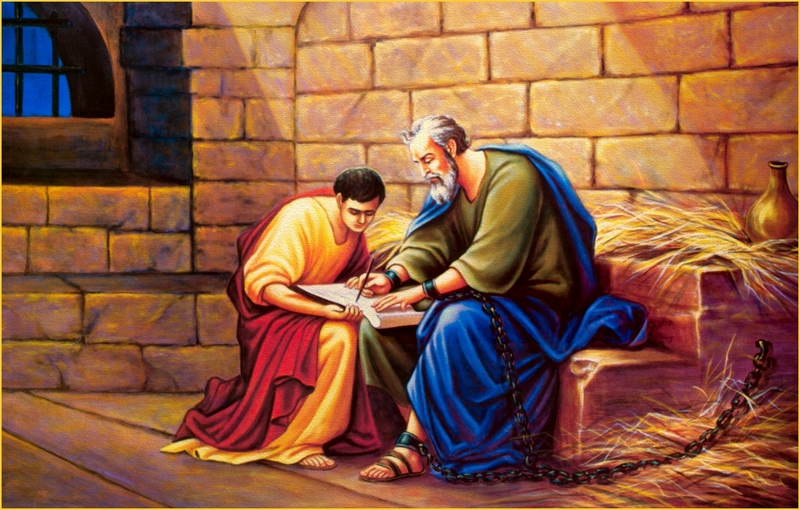 Actually Paul was weak in that he had to struggle with every fiber of his being to wage spiritual combat, and in acknowledging his utter dependence on God, his greatest weakness became his greatest strength, rather than his greatest strength becoming his greatest weakness. Thus is the difference between those who become Saints and those who do not. This is the essence of every Saint and every non-saint, but the essence of Saint Paul is so much more expansive.
" . . . And consider the means he took! He met every issue head-on, without compromise. Impatiently, fearlessly, quickly, he tore away hypocrisy, smugness, selfishness. The brilliance of his thought, the richness and imagery of his language, the deftness and speed of his strategy, have tended to give him a place in history with the suave, the polished, the learned, the sophisticated of this world. It is convenient to forget what manner of man he really was: this man whose whole personality can only be contained in the word "Apostle." Time has tended to obscure his ruggedness of character, the simplicity of his life, his innate humility. It is refreshing to read here the homely details of his trade of tent-making, of his poor, worn and roughened hands, too rough to make any but the crudest of marks with the stylus. . . . Sensitive souls, hurt by the rivalries that creep in even among the servants of God, are brought face to face, . . . with Paul's tireless affection for his own people in the face of their fickleness, their defection to other more 'showy' teachers, their constant reversion to racial pride and arrogance. 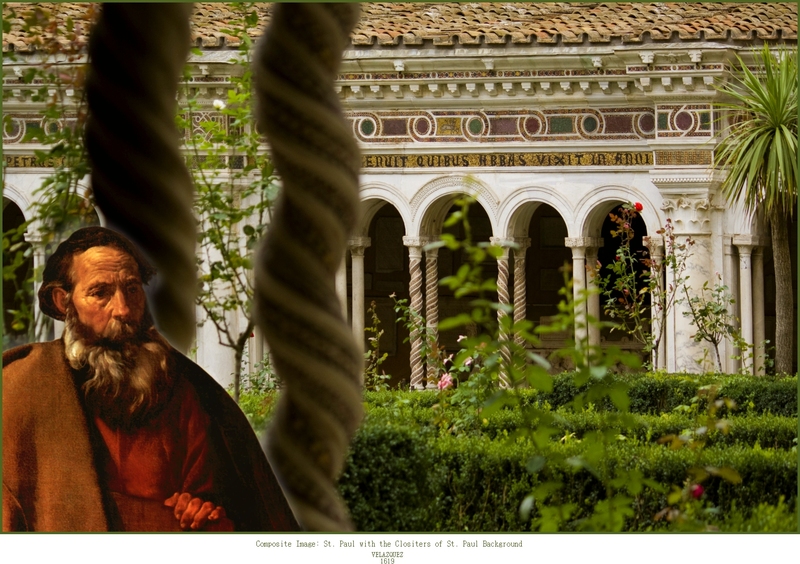 "We need the example of St. Paul today. While he labored quietly in prison, ceaselessly giving individual interviews and endless personal exhortations, writing numberless letters, untangling perpetual misunderstandings, taking into the new Christian community slaves and unimportant people without distinction, the old community of pagan pomp and power was about to fall dramatically into desuetude. The measure of its colossalism was the measure of its emptiness. We, too, have seen mass and size and material strength mistaken for symbols of greatness. In the very act of subduing these hostile forces, we, too, have expanded, extended our energies, stretched out our resources. Without the wisdom of St. Paul we could end as empty of real life as our foes. "What was the essence of that wisdom? The knowledge that comes with love. 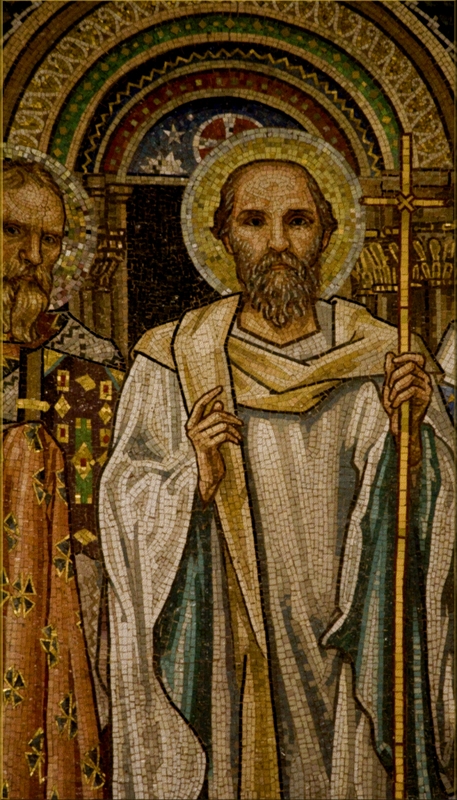 St. Paul convinced his hearers, not because of dexterity in turning a phrase, nor agility in dialectic, but because he knew in his own life, the Divine charity he sought to explain to others. . . . "
Please note that we have opted to retain all English spelling as in the original, that is not the standard for American English, but the formal English of that country from which some of our writers hail. Please do not e-mail us that we have misspelled words, in this regard, such as favour instead of favor and neighbour instead of neighbor, etc. We used to change all such nouns and verbs, but it took so much time, we decided to cease this policy. Note: the Catholic Treasures Link above takes you to the precise page where this work is listed as part of a set, the Haydock Douay-Rheims Catholic Bible, which consists of three books, the Old Testament, the New Testament and the Bible Dictionary listed above, all three with with exquisite engraving. 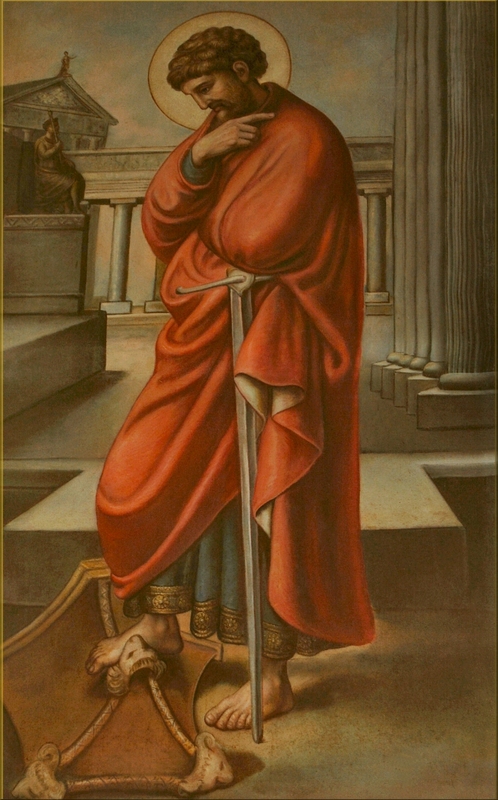 The image of St. Paul in the banner above is of unknown source, both as to the artist and date. Some attribute it to Vignon, of whom I know nothing. 1. My given name, the name I was Baptized with is Mary-Judith [Marie-Yvette in French], my first name, not a first-middle name combination; the nickname, "Pollyanna" was provided by my father as I was a "bubbly" baby. Eventually Pollyana became "Paul" by my mother, then settled into Pauly by everyone before I was school age. The appellation stuck and I have used it legally and for all normal correspondence ever since. Sacramentally it remained Mary-Judith [Marie-Yvette]. 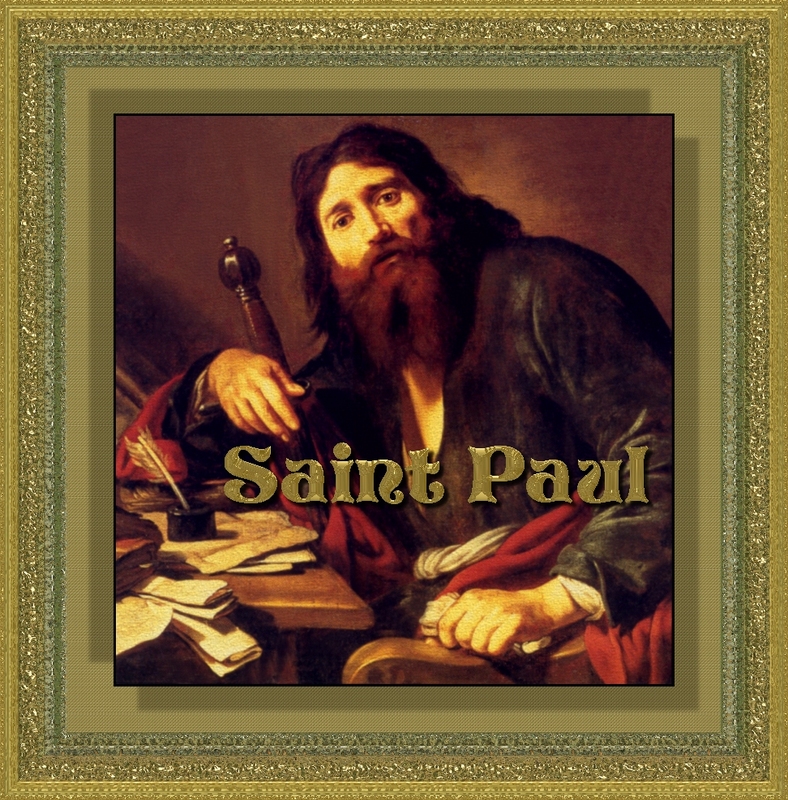 Hence my reference to St. Paul as my adopted Patron.